Saturday, May 21, 1859.Springfield, IL. 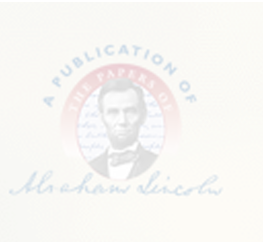 Lincoln files praecipe in McCallum, Bristol & Co. v. Illinois River RR in U.S. Circuit Court. Files. He deposits $24.75 at bank. Marine Bank Ledger. He spends $2 on buggy repairs (setting axle and repairing doors), and charges $1.50 for bottle of tonic ("Allen's Restorative") at his drug store, and buys ink, hair dressing, and perfume. Obed Lewis Account Books; Pratt, Personal Finances, 152. Mrs. Lincoln buys two silk collars at Smith's. Pratt, Personal Finances, 157.